Reynolds was born and raised on a farm in Thiensville. Her family moved to Nebraska in 1892; she trained as a teacher at the Lincoln Normal School and then taught school for a short time, but her real dream was to follow in the footsteps of nine other people in her family and become a doctor. She was discouraged from pursuing such a career, both by family members and at the University of Nebraska; but finally, in 1898, at the age of 30, she was able to enroll in the Woman’s Hospital Medical College of Chicago. She earned her M.D. degree in 1901. After she graduated from medical school, Reynolds came back to Wisconsin and joined her brother Nelson in a medical practice in Lone Rock. After he moved away, she was the only doctor serving in that rural area, getting around by boat and horseback as well as by car. In 1923, when the Wisconsin River was flooding and impossible to cross, she even got aviator Charles Lindbergh to fly her across the river to reach patients in need. Reynolds, who was known as “Dr. Bertha,” practiced medicine about 20 years before Dr. Kate Pelham Newcomb, a more well-known pioneering Wisconsin physician. Although Reynolds tried to retire in 1940, in the town of Avoca, she ended up practicing medicine again when Avoca’s only doctor left to serve in World War II. She retired again in 1953, and died in 1961. “Dr. 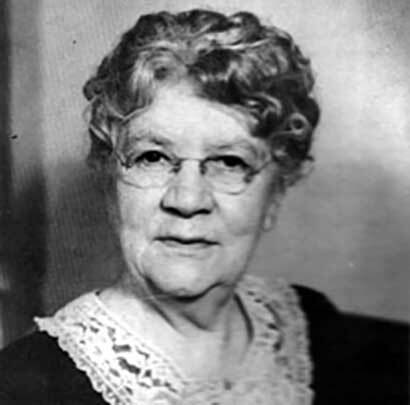 Bertha Reynolds.” Lone Rock Area Historical Society. http://lrahs.blogspot.com/2007/12/dr-bertha-reynolds.html. Thayer, Earl, & Steve Busalacchi. “First in Their Class: Wisconsin’s Pioneering Women Physicians.” Wisconsin Academy Review, volume 51, number 2 (2005), pages 51-62. Coopey, Judith Redline. “A Life of Service.” Wisconsin Trails, volume 18, number 3 (Autumn 1977), page 30.